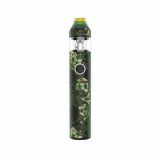 OBS KFB2 is a comfortable and portable Kit with 1500mAh built-in A+ level battery. Multiple intelligent protections are considered in it to provide you a safe vaping. 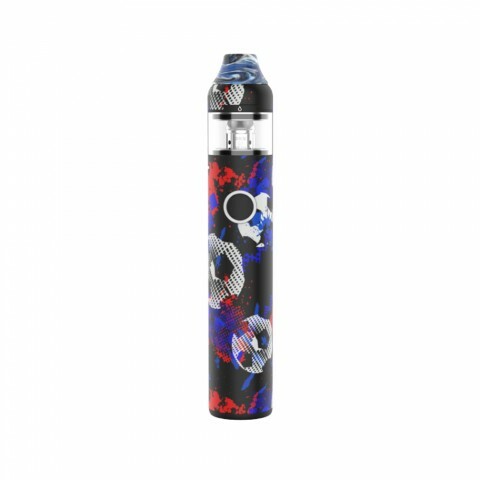 It features 2ml e-liquid capacity with slide top refill design and is perfectly compatible with regular e-liquid vaping and nicotine salt vaping. Here to introduce the OBS KFB2 Starter Kit, an upgraded version of the previous edition—OBS KFB AIO Kit. Not only does OBS KFB2 provide you a feast of eyes by its exquisite and colorful appearance, but also a comfortable and portable hand feeling and a great flavor as well. By the working of 1500mAh built-in A+ level battery, with a low power output and a constant voltage at 3.5V, the OBS KFB2 can provide you much more stable vaping experience. Moreover, multiple intelligent protections are considered in OBS KFB2 AIO Starter Kit. In addition to the one large button design, it will be very convenient to operate. KFB2 atomizer has 2ml e-liquid capacity with slide top refill design. The bottom airflow system can also support both MTL and DL vaping. Furthermore, by the advantage of the advanced OBS Cube Mini Coils — 0.6ohm S1 mesh coil and 1.2ohm N1 coil, the OBS KFB2 is perfectly compatible with regular e-liquid vaping and nicotine salt vaping. 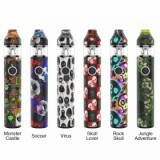 Come and get one OBS KFB2 AIO Starter Kit and start to enjoy your KFB2 vaping! • You may have interest in other Pen Kits like Aspire K3 Quick Start Kit.